100% Natural. 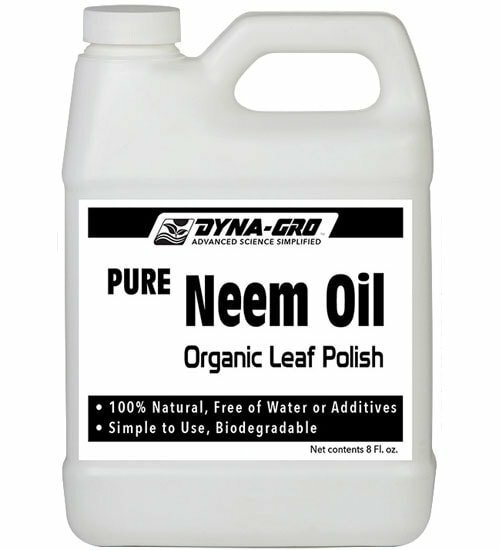 Dyna-Gro Pure Neem Oil is cold-pressed and free of water and other additives. Ideal as an organic foliar spray, it produces healthy and shiny leaves on any plant. 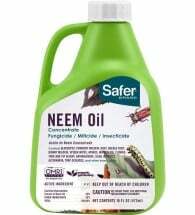 Easy to use and biodegradable. 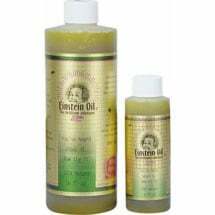 Mix 1 oz per gallon of water along with 1 oz dish soap as an emulsifier. 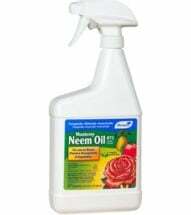 Shake well and spray the diluted solution generously on all leaf surfaces. 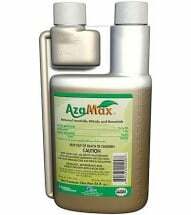 Pressed from the seeds and fruit of the Azadirachta indica tree, this organic leaf polish can be used on any plant without clogging the stomata (plant pores).